By: Josh There was once a kid that was named greg. He was at a beach. Then a giant barrel wave came and he was in calf water deep. (where the waves usually break)! The wave was as tall as two of him! He layed down on his belly and was in the big barrel wave! 2 seconds later he saw a shark’s head right in front of him! He got his Gopro and was taking pictures and some videos and then he realized that the wave was caving in on him. He put his goggles on and BOOM! He got crushed by the wave. He got out of the water and he saw the shark swimming away. He had to go to the hotel. So he had to pack up. The next day he went back to the beach and the waves were bigger, stronger, and also taller. They were bigger because there was a storm nearby. So he got his boogie board and he was going to ride North Carolina’s Wrightsville beach waves. He paddled out 15 yards out to sea and then he saw a 20 foot wave coming his way. He rode that giant barrel wave. He went through the barrel and he got out just in time. He heard a giant crash from that wave. He wanted to play in the sand because he did not want to play in it before. So he got a shovel and started digging a three foot deep hole in the sand. He wanted to make it wider so he could fit in it. Then he wanted to go back in the ocean into the water with his boogie board. It was 4 o’clock and the waves were rougher and larger and the sky was dark. It started to rain. He asked his mom that he wanted a few more minutes to be in the water. A 50 foot wave was coming his way. He did not realize that it was a mini tsunami! He had to get out of the water. So he paddled on his boogie board. He got of the boogie board and He was on the shore running for his life. The wave was chasing him. He went in his hotel to hide from the tsunami. He went to the tallest story. He looked out the window and the whole beach was gone! He went back on the beach and there was one more tsunami coming! The wave was 120 feet tall he ran all the way to Wilmington city with his family and they were safe! They even had their stuff back. They got a plane and they went home. THE END!!!!! My Dream since I was 6 years old was to play with Aaron Rodgers in a football game. So one day when I went to lambeau field, they had a raffle and they got a winner. They said, “The winner to play on the packers is…………JOSHUA ANSON!” I was so happy that I ran down to the locker room in 5 seconds! The packers were playing the patriots. They are 5 & 0. The game started and they punted off to us. Randall Cobb received the ball and he got tackled at our 49 yard line. I was wide receiver and Randall Cobb was too, Jordy Nelson was tight end and eddy lacy was running back and Aaron rodgers is QB. The center hiked the ball Aaron rodgers gave it to eddy and he ran for 10 yards. We are at the 39 yard line. It is 2nd down and there is a blitz. The center hiked the ball and malcom butler was covering me! I juked him out and I was wide open! Aaron rodgers passed to me and it was high, so I jumped. I had no time to lift two hands so I lifted only one. I CAUGHT IT!!!!!! I odell’d it!! I dove into the end zone for a touchdown! In the first half the patriots were winning 14-7 and were are now on defence. I was in for the wide receiver defender. Tom brady got the ball and he was going to pass. So I followed the defender to our 25 and tom threw it to julian edelman, which who I was defending! So the ball went to him and I just jumped as high as I can and I caught it! It was a interseption! As soon as I landed, I ran for my life. I wanted to get another touchdown, so I was running and rob G. was about to take me down, so I juked him out and kept running. I juked other people out and broke some tackles, but believe it or not, I made it to the end zone for a touchdown!! The score is 14-14 at halftime. We are on offense and we are going to pass on first down, Jordy and Adams are on wide receiver and I was on tight end. Aaron hiked the ball and he was going for jordy nelson. We all bunched up in the end zone for a hail mary. So Aaron was at the 20 and he had to bomb it to the other end zone. He bombed it and………….JORDY CAUGHT IT! It was 28 to 17 and we’re in the 3rd quarter. The patriots got the ball and julian edelman got a touchdown, so it is 28 to 24, they are catching up. It is our ball and it is the 4th quarter. Aaron hiked the ball and handed it to randall cobb. He ran with the ball until he fumbled it! One of the patriots defenders got the ball and ran in for a touchdown. Well that was unexpected. The score is 32-28. They got a two point conversion. It is our ball and we have nothing else to do except a trick play. There is only 12 seconds left in the game and we are behind. So the trick play is a good idea. It is our ball. Aaron hiked it and threw it to jordy for 15 yards but then ladaroled it to randall and then he ran for another 10 yards. So now we are at the patriots 40. Then randall ladaroled it to adams. He ran for another 15 yards. Now we are at the 25 yard line. Then I come up and I get the ladaroled pass from randall and he said, “ run to the end zone!!!!!! !” so I did what he said. Then I caught my eye on a defender charging towards me at top speed. I did not know what to do so he was feet away, I just jumped over him and did a flip!!! I was at the 10 yl at the time. I kept running then I saw another defender charging toward me so I just juked him out and walked into the end zone!!! The clock stopped when we were celebrating. WE WON!!!!!!!!! The score is 35-31 us!! They are moving on to the playoffs!!!! I am also invited to go to Aaron rodgers house for a party with the team. We have cake, cookies, ice cream and etc. along with games. Jordy nelson brought a surprise game. He finally unveiled it. It is a trampoline football game!! Then suddenly out of the blue, eddy lacy comes to the party!!! He did not play football because he has an ankle injury and he is not playing football. So me, jordy nelson, Aaron rodgers, randall cobb and clay matthews are playing trampo- football. Eddy lacy is the ref. We played that until it got dark. When it got dark, we started eating the party junk. For the rest of the night we partied til’ we were purple. As of November 5, so far fishing has been really good. I have to say I probably caught 1,000 fish. Most of them were small, but I had some big ones. I went 4 types of fishing, bank fishing, kayak fishing, ice fishing and wade fishing. Bank fishing is when you stand on a bank and fish on it. 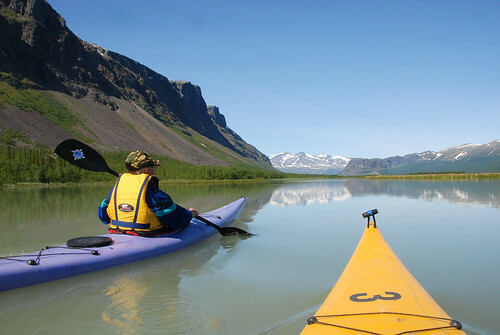 Kayak fishing is when you fish on a kayak. Ice fishing is when you fish on ice and last is wade fishing when you fish in the water. The three biggest fish were first, a 30 inch tarpon, then a 20 inch bass, then a 18 inch in bass. My favorite two types of fishing is kayak fishing and wade fishing. I like kayak fishing because you get to work out and fish at the same time. You also can reach different spots. I also like wade fishing because in the summer, you can get cooled off and fish at the same time. You can also reach different fishing holes in a creek. I have to say that my favorite body is a pond. I like ponds because they hold bass, which is one of my favorite kinds of fish. I also like ponds because they are usually open and it is usually easy to cast. My favorite types of fish is bass and trout. I like bass because they are aggressive and they fight pretty good. I also like them because they get pretty big. I like trout because I can eat them. I also like them because they get pretty big like bass. The craziest times I went fishing was to a pond. It was about to storm and me and my mom were at a pond. We got there before the clouds showed up. Suddenly, while I was fishing, I lightning bolt struck a mile away! I was scared. We packed up and we headed home. Another time was when my sister’s friend, her, my mom and me went to a creek. We went right after the rain and it was just a little cloudy. When my sister’s friend and my sister were building a dam, I was fishing. I was fishing and putting the fish on top of the dam they made because the dam made a artificial lake. We put the fish in there. All of the sudden, it started to drizzle. We thought it will pass, but it didn’t!! It started to pour and we ended up releasing the fish and going home. The crazy thing is when we went there a month later, the dam was still there. The best equipment I have is a fishing rod called the Lew’s American Hero. It is really good for different types of fishing. I recommend it for fisherman who have fished for over a year. My favorite bait to use is a pink senko. I like them because they might imitate a dying fish or a worm. I also like frogs because when the fish bust on them, it looks really cool. My favorite spot is this pond that is sort of secluded called high point. There is big bass and big bluegill there. I’ve caught my personal best bluegill and it was this year. Another favorite spot is a frog pond in ephrata called Ephrata township park pond. I like it because I catch fish with frogs and senkos. I also like it because it is deep and it is easier to fish. It is fun when I’m fishing, it makes me relax. So I’ve had a pretty successful year fishing, THE END!!! RECAP- In school, I had a friend named richard. Me and my other friends called him rich. I only had one sleepover with him and his dad ruined it. We are going to have another one and this time it won’t be ruined by him. PART 2- I packed my bag and we were on the way to his house. I brought some weapons just in case rich’s dad shows up. I get dropped off and I kiss my mom goodbye, and enter rich’s house. Rich wasn’t coming down the spiral staircase, so I started to investigate. I checked upstairs, wasn’t there. I checked downstairs, wasn’t there. The only place he would be is on the middle level. So I went to the kitchen and I saw rich and his mom baking cookies. I said, “Hey guys howdy do! I was looking for you upstairs and downstairs. What are you baking?” Rich’s mom replied, “Oh we are baking snickerdoodles and gingersnaps.” I really love those kinds of cookies. I watch them finish baking and help them clean up. Rich said, “Thank you for cleaning up.” I replied, “No problem o, BUT, is your dad gonna come?” Rich’s mom says, “hopefully not, we installed a security system.” I felt relieved. I am wondering what we are going to play. I say, “What should we do?” Rich replies, “It is a beautiful day out, we should play outside.” I agreed and we headed outside. His yard was really big. It had a soccer net and a huge hill. It also had a trampoline, fish pond and a garden. There was a line of trees in the back. I said, “I have two questions, What is in the fish pond, and is there a creek in the back?” Rich replied, “In the fish pond, I have 2 bass, 4 crappie, a bluegill and 10 green sunfish. And, there is a creek in the backyard, in fact, that creek is where I got all of the fish at.” I look in the pond all of the fish were looking at me. Rich said, “They are hungry, let’s feed them.” Rich got worms and dropped them in. All of the panfish ate the worms. He also got some minnows for the bass. Rich held the minnow 3 inches above the water and the bass jumped out of the water for it! We got done feeding them then we went down to the creek to fish. We were fishing and we caught a lot of fish. We went back for lunch and then we went to play on the trampoline. We did four things all day, eat, fish, jump on the trampoline and play with rich’s fish. It was going well until we see rich’s dad kline spying on us in the tree line. Rich says, “come on, we need to go in the shed. It is safe in there.” We go in the shed and as soon as we get in, there is a lot of weapons to defend ourselves. There is grenades, pepper spray, tasers, nail guns and trash can lids (shield). We see through a window rich’s dad and his coworkers with net guns to trap rich. They also have tranquilizer guns to tranquilize rich and bring him to his dad’s house. We load up and get out of the shed. Rich says, “We are no longer running from you, we will fight back!” His dad (AKA Kline) says, “Ha ya right. I’ll get yo friend and use him as a slave. Try hard kid.” We start the fight and we got the nail guns and shot their feet. The only one that did not get hit was kline and two other coworkers. They all lay down and we run pass them doing our tasers. They don’t get up. Kline shoots rich on the arm with the dart and he goes to sleep. I was the one who had to save us. I got rich’s amo and threw a couple grenades. I blew up one coworker and the other one tried to net gun me, but he missed. I pepper spray The last coworker and got him with the taser. It was the final battle, me against Kline. Kline said, “You are going down kid.” I start off with the nail gun and I gave him a graze wound. He got the net gun and captured my leg. I got a grenade and I threw it at him, I blew off his leg! He was on the ground and he was shooting darts at me. He was missing really bad, so I decide to do my nail gun. I put it on rapid fire and I got him multiple times. I think he got severely injured so I dropped all my weapons. I call the police and they take the men to the hospital. Rich wakes up and he says,”What happened? did we win?” I say, “We won and they are going to the hospital.”All of the sudden, rich’s mom comes out and she says, “What are you guys do–OMG!! Why are the cops here? !” Me and rich explain the whole thing. We clean up the yard and we get a drink. The chief cop comes out and he says, “He, who caught kline johnson?” Me and rich raise our hands. The chief says, “He has been on the loose and he committed 4 homicides and 2 house invasions. There was a $10,000 reward.” He gave us a roll of cash. Then rich says, “You can have mine. I’m already rich, in both ways, get it? !” We both laugh and we went to look at the fish. It was time for dinner. It was macaroni and cheese with mashed potatoes and steak with a side of peas. we got done eating and we went outside for a little to do some topwater bass fishing (sunset is the best time). We caught a couple and we headed in to play PS4. We played for a little and we went upstairs to play nerf then go to bed. We went to bed. We woke up in the morning and we had pancakes. It was the same old routine, we played PS4 for a little, then play hide and go seek and say goodbye. I left Rich’s house with $10,000. I say to my mom, “Hey mom, I have $10,000 dollars in my pocket.” She says, “Oh you mean $10.” I show her the roll of cash and she was amazed. I told her the whole story about the sleepover. I was walking to school on a sunny morning and rich came up to me. He said, “Guess what, my dad got sentence to life in jail for manslaughter, house invasion, attempted murder and child custody.” I was amazed. I think Kline really deserved that. Rich was relieved and rich was never afraid of his dad again, THE END! When I was a little kid, I liked to play with one of my best friends from school. His name is Richard. Friends called him rich. One day when I had no baseball practice and Richard was free, his mom asked my mom if I was free. Mom asked me if I wanted to go to a sleepover at rich’s house, and I said yes. So when we arrived. Then I got out of my car and kissed my mom goodbye. I went inside and his house was huge. Rich came down from the spiral staircase. He said “Hey man what doing!” and I said, “Hey man not bad myself.” Rich said if we wanted to play fortnite. So we went down to his basement and it was JUMBO. It was like a man cave with 5 TVs and 3 of them had a PS4. He also had a soccer net because the basement was huge. So we started playing and we were having fun. All of the sudden, we hear this weird noise. We stopped playing for a second and went to this unused part of the basement. It was dark. Rich suddenly just stepped on a panel on the floor intentionally and out comes a baseball bat. I said,” What is that for?” and he said, “I know what this is, stand back.” I was scared then suddenly, a man comes out with a bat and he started swinging at Rich. Rich suddenly knocked the guy out. I said, “Who is this guy? !” rich says, “My psychotic dad. He hates me and my mom because my mom and my dad got divorced and I always never liked him.” I said, “Then why is he at your house?” rich replied, “He has been spying on us and he wants to get me and bring him to his house and keep me.” I said, “Wow, this is complicated.” we get rich’s dad in the car (knocked out still) and we drive him to a nearby park. We drop him off and drive back home. Rich said, “I’m sorry about this.” I say, “Aw, it’s fine, as long as we’re safe.” we go inside and we go to rich’s room. It was AMAZING!! It was covered in Nerf gun stuff and battle forts. I say ,”Who do you play with?” he says, “No one, but sometimes my mom.” I say,”Where is your bed?” he said, “Behind one of the forts.” we start playing. we each got 5 guns and 100 bullets. We were right in the middle of the battle and rich’s mom is knocking on the door. She says, “Dad is back and he has his friends and they are banging on the door!!!!!! !” Rich opens the door and we hide in rich’s closet. Rich says, “This is not going to work.” I say why. He replies, “He knows my hiding spots.” I suddenly have an idea, there was a door to an attic. I tell rich and we head up. As soon as we get up, there was a TV and a recliner and the attic was finished. Rich says, “I didn’t even know that this thing existed.” His mom says, “This is where I meditate and have time alone when you are in school, not even dad knows!” We are silent. There was a one way window over rich’s closet. Suddenly, we hear them break in and search the house. It was a big place, so it would take a while to search. We finally hear them coming into rich’s room. They search rich’s room and into his closet. One of rich’s dad’s friends spots the door to the attic. He says, “Hey Kline, should we go up into the attic?” Kline replies, “No it is not finish and there is very little room up there.” Well, he was wrong. They keep on searching in the rooms. Rich’s mom points to a mini fridge. We open it and there was ice cream, soda, pizza and wings. On top of the fridge was a microwave. We ate until they finally exit the house. We get down and we go back to playing our nerf war. We had dinner and went back up to play. Time passed and it was time for bed. We woke up in the morning and had breakfast. I packed up and put my stuff near the door. We played fortnite until my mom came to pick me up. I had fun at rich’s house, THE END! 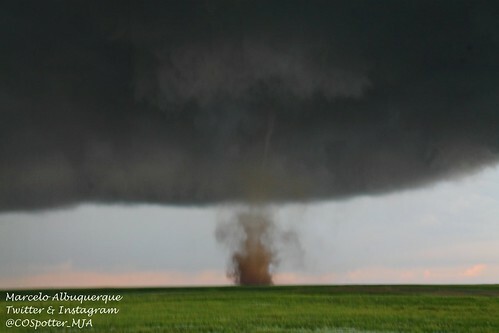 Tornadoes are one of the main natural disasters in north America. 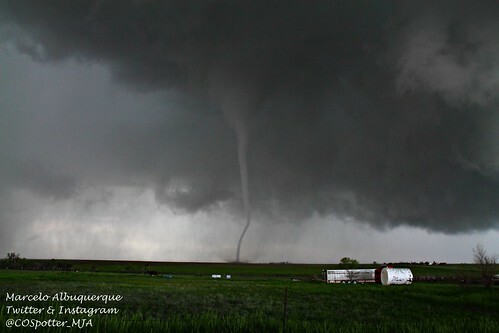 There are 3 main kinds of tornadoes, regular, waterspout and dust devil. Those are the most common, BUT the most destructive is the regular. This tornado hit in Albuquerque, New Mexico. Thus, this tornado is in the plains, it can still move to a town are village. 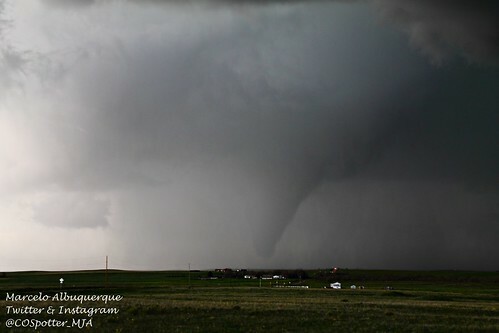 This tornado looks like a EF2 or EF1 tornado. An EF is how meteorologist measure how strong the tornado is, This is how it goes: EF1: OK size can be destructive EF2: a little stronger, can rip roofs off houses EF3: can pick up trailers and throw them thousands of feet away. EF4: can damage anything in its path EF5: only 3 ever recorded and a mile large. can make millions of dollars of damage. Marcelo Albuquerque via Compfight psst!! EF1 TORNADO, HA! The packers were playing the patriots. They are 5 & 0. The game started and they punted off to us. Randall Cobb received the ball and he got tackled at our 49 yard line. I was wide receiver and jordy nelson was too, randall cobb was tight end and eddy lacy was running back and Aaron rodgers is QB. I am also invited to go to Aaron rodgers house for a party with the team. We have cake, cookies, ice cream and etc. along with games. Jordy nelson brought a surprise game. He finally unveiled it. It is a trampoline football game!! 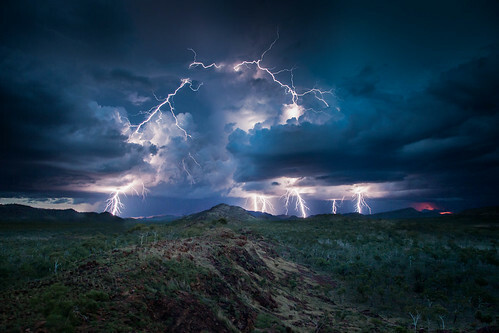 lightning is electricity that comes from the sky. Lightning also comes in many different ways, like tornadoes. They are, Ball lightning, lightning strikes, flashes and knot lightning. 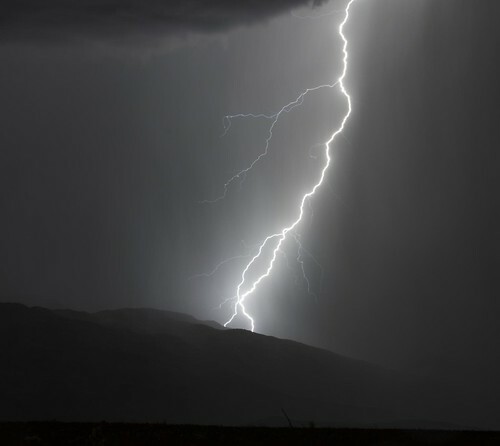 This lightning is an example of a lightning strike. Lightning strikes are the most dangerous kind of lightning. They come in one bolt or roots come out of the main bolt. This is an example of flashes. Flashes are not dangerous because they are mostly occupied in the sky. They light up the sky with beautiful scenes. 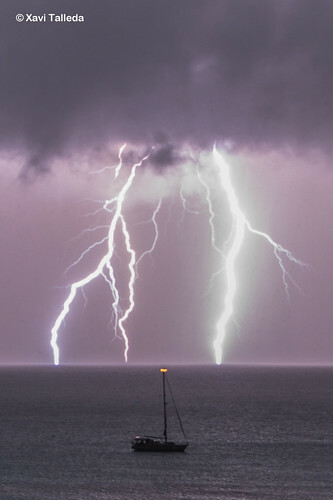 Sometimes when lightning hits water, it can kill fish with in 1 square mile. If this rare thing happens to you, you are the luckiest man on earth. Once ago, in 129 A.D, the chameleon was walk along a trail and he was hungry. He was going to the giant banana tree. He had no idea how to get the bananas down. So he went to the king, king youngbull. Chameleon said, “Mr. youngbull, can you knock down the bananas for me, please!” youngbull replied, “sure thing squirt!” Then Youngbull went and gave the banana tree a punch, But a monkey came out of nowhere and said” these are MY bananas!! Get away knuckle heads! !” he said rudely. The monkey said, “you’re gonna have to fight to get these bananas”. Said the rude monkey. The monkey added on, “right youngbull? !” youngbull replied, “yes the monkey’s right chameleon. You guys are going to fight on the beach at sundown.”The chameleon said “, I will be there for the bananas, I love them.”So then the chameleon and the Youngbull put posters all over the town saying” the fight of the century”. And everybody saw it and gathered around chameleon. The fight was on and there was no backing down. All the animals in town were there. It was time for the fight. The announcer counted down, “3…2….1…0!! The fight is on!” the monkey and the chameleon were fighting at once. The monkey started off with a kick in the chameleon’s stomach. Then the chameleon got his tail and his feet tangled to the monkey and they both fell to the ground. The monkey got up first and kicked the chameleon legs ,And made him do a backflip and went unconscious. When the chameleon woke up, he was as angry as steam. He went and headbut the monkey and the monkey was unconscious. When the monkey woke up, he was more angrier than the chameleon. He came up to the chameleon and pulled his tongue as long as he can and let it go. The chameleon fell in the ocean and he got all wet. He came out with many different colors. That is how chameleons change color, (but that’s another story). So that is how the chameleon got his tongue.